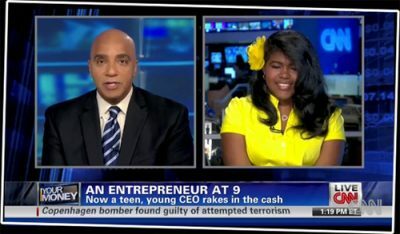 Kid Entrepreneur at 9: Kid Philanthropist by 15! At the young age of 9, Leanna Archer became a kid entrepreneur by making and selling a special hair product made from an old family recipe. 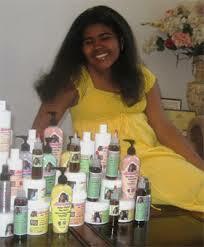 Now she is 20 years old and the CEO of Leanna’s Essentials, an all natural hair care line. None of the products sold in the Leanna’s Essentials hair care line contain sulfates or parabens, making them all natural products. Watch the video above to see Leana’s appearance on the Jeff Probst Show. The products in the Leanna’s Essentials hairline are made from a recipe past down through her family. Leanna’s family is from Haitian origin. Her mother immigrated to the United States from Haiti. Leanna grew up in New York city. Before her grandmother came to join them in New York, she would mail hair products from Haiti. When Leanna’s grandmother immigrated to the United States, Leanna was able to learn how to make the hair products herself. When someone organizes and runs a business based on an idea to sell a product or service, they are an entrepreneur. 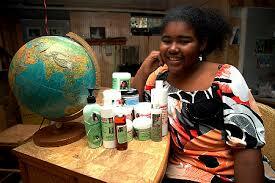 At age 9, Leanna Archer became an kid entrepreneur. Leanna was just 8 years old when she got the idea to sell their family concoction. Neighbors, friends, and people at school continuously complimented Leanna on her hair length and health. She would tell them that it was her great grandmother’s hair products that helped her hair look so nice. Since a lot of people liked Leanna’s hair, she figured they would like the hair products as well. She told her mother that the family could make a profit from selling hair products, especially since so many people complimented her on the length and health of her hair. She originally wanted her mother to sell the products, but her mother was very busy with work and could not find the time to start a business. Leanna made the products herself. She gave the products away for free, until people started to offer to pay her. A year later at age 9, Leanna pursued her entrepreneurial idea. She mixed the hair products at home. She bottled the product in recycled baby food jars. She gave the mixture to neighbors and friends. Leanna started off giving these products away for free. People began to ask Leanna how much the products cost. Originally she was just giving them away, but she later decided to sell the products, since so many people were offering to pay. She quickly sold out of products and began to take her business to a new level. She created her website (http://www.leannasessentials.com/) after researching ‘how to start an online business’. She now sells her products all across the world. She has even expanded her brand by including a skin care line. Leanna Archer mother during a CNN interview. A philanthropist is someone who seeks to provide health, happiness, and other good fortunes to others. Leanna is just that. 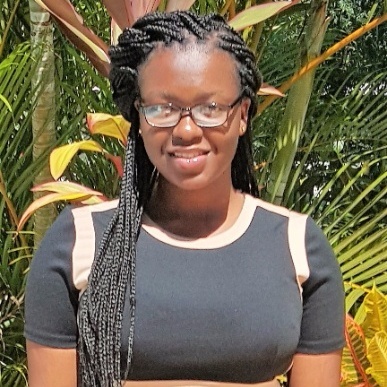 She became a philanthropist at age 15, when she decided to give back to people living in Haiti. As mentioned before Leanna’s family origins are from Haiti. Leanna has used a portion of the money earned from Leanna’s Essentials to create the Leanna Archer Foundation. The Leanna Archer Foundation is an organization dedicated to helping children in Haiti. The foundation helps provide 3 meals a day, education, and a safe environment for about 200 children in Haiti. Leanna has been profiled in Success Magazine, Ebony, Forbes, and other publications and appeared on the Wendy Williams Show, Steve Harvey Show, ABC News, BBC News, MSNBC, The Jeff Probst Show, and other media outlets. She has also won several awards recognizing her for her entrepreneurial success. Believe in Yourself, Your Ability & Your Business.